It's World Elephant Day - time to make a difference! Born Free works tirelessly to stop the poaching of elephants for the ivory trade and the insidious trade in elephant ivory. But, elephants face yet another threat - and it's happening right here in the US. Elephants (and other captive wild animals) suffer miserably in captivity, whether it's close zoo confinement, devoid of all their natural needs, or degrading animal performances, where they're forced to execute abnormal tricks: an inherently cruel experience for these smart, sensitive, gentle beings who belong in the wild. Born Free has produced an insightful 30-second video (voiced by actress Selma Blair) that shines a spotlight on this utterly unnatural form of "entertainment." You should watch and then share ... widely! If you care about the welfare of elephants as much as I do, share this video with as many people as you can. It's a simple yet powerful way to raise awareness of the plight of performing elephants. Every single view has the power to open someone's eyes to the heartlessness of captive performance - and to make someone think twice before supporting this exploitative practice. Be sure to also visit www.whatelephantslike.org, which just launched today in honor of World Elephant Day. You'll discover a whimsical 3-D site as well as our children's book, "What Elephants Like" (in animated, print, and coloring-book style)! This book is a fantastic tool to teach compassion to the young generation. I have shared it with my daughter; I hope you'll share it with someone you care about, too. Adam PS - Want to find out how you can do more to save elephants and learn about the work Born Free is doing on their behalf? 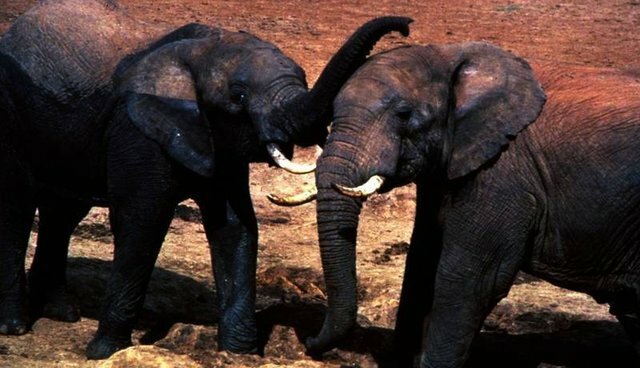 Check out http://www.bornfreeusa.org/a9e_elephants.phpand http://www.bornfree.org.uk/campaigns/elephants/.